Pre-historic "Clovis Man" inhabited the Blackwater area north of town until about 11,000 years ago. During Spanish rule in the 1600s, the area was called the llano estacado or "staked plains," a possible reference to the prominent yucca plants that dot the flat horizon. In 1898, cattle herders discovered a water source emanating from a rocky ledge resembling a Spanish porch. The local watering hole took on the name Portales, and a few settlers began ranching nearby. The city of Portales was formally established in 1909 with the arrival of the railroad to the region. The town developed in an orderly fashion through the early 1900s. 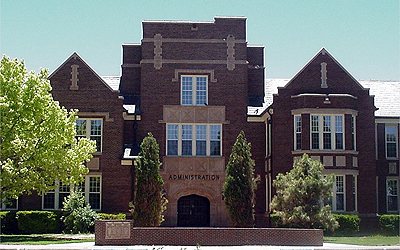 Eastern New Mexico University was established in 1934 as a teachers' college. Portales receives approximately 17 inches of rain per year and 9 inches of snowfall. On average, there are 273 sunny days per year. We are home to the third largest college in New Mexico. ENMU offers a multitude of activities to attend ranging from sporting events such as football, basketball, baseball and rodeo to performing arts events such as plays, musicals, symphonies and recitals. The Portales Municipal School District is made up of four elementary schools, a middle school, a junior high school and a senior high school. Parents can check out the New Mexico Christian Academy for an alternative to public high school. The Roosevelt General Hospital built in 2001 is a modern, attractive facility fully equipped with the most technologically sophisticated equipment available and staffed by well-trained personnel. 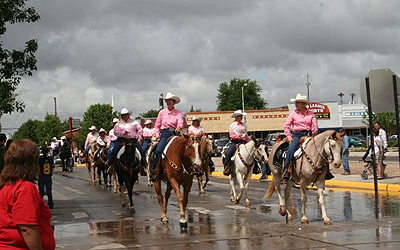 Annual events include The Peanut Valley Festival, Heritage Days Celebration, New Mexico Ag Expo and Eastern New Mexico University Homecoming events just to name a few. This is just a taste of what Portales has to offer its residents. Contact our United Country office today for additional information on our area and the properties we have available. We'll help you find the home of your dreams.